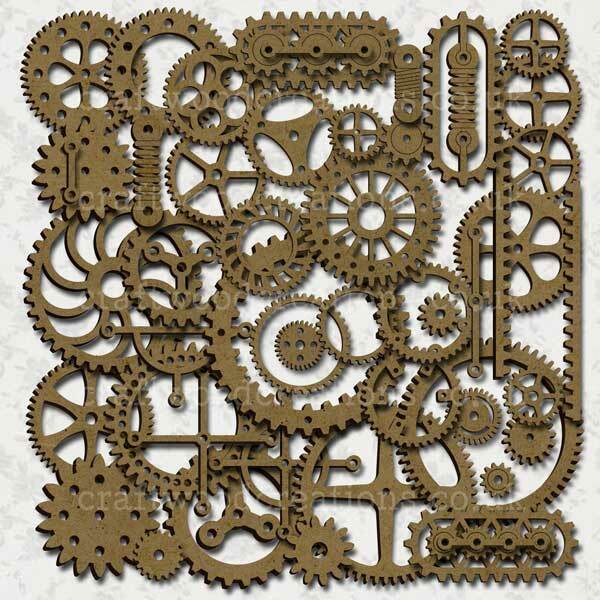 A fabulous mix of 120 Cogs, Gears, and “other bits” for you to use on your Steampunk and Altered Art projects. All laser cut from 2.5mm premium grade mdf with additional engraving on some pieces for a more 3D appearance. Image shows a sample of some of the pieces included. Some items are duplicated.